“e-shift” is JVC’s proprietary high-resolution display technology that shifts a pixel by 0.5 pixels vertically and horizontally to achieve 4 times the pixel density of the original content. Ahead of the competition, JVCKENWOOD developed the 4K e-shift technology in 2011. Ever since, this technology has evolved and received a favourable response for its high resolution near native 4K using the FHD device. The 8K/e-shift technology adopted for the DLA-NX9 combines the “e-shift” technology with another proprietary technology, Multi Pixel Control, to convert Full HD and 4K-resolution images into 8K-equivalent resolution (8192 horizontal by 4320 vertical). 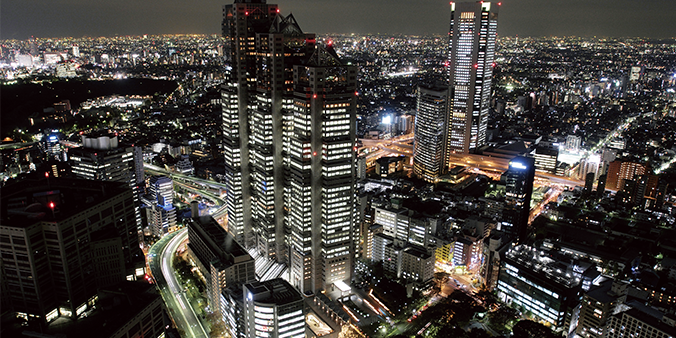 The result is an eyeopening, high-definition display that is very close to the original subject*1. *1:The projector does not support 8K signal input. 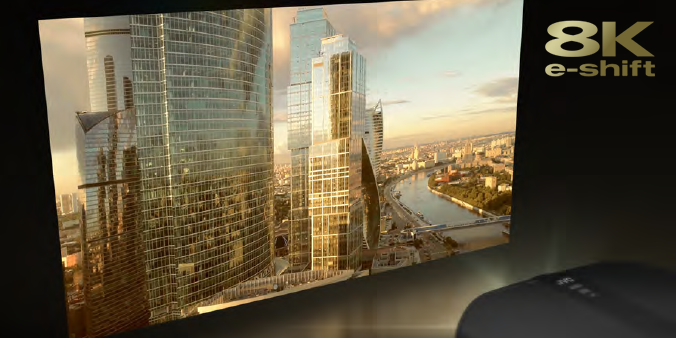 All D-ILA projectors feature original high-performance image processing technology, Multiple Pixel Control (MPC) that detects blurring generated from images taken with 4K cameras. Through analysing and correcting with an original algorithm, the MPC is an image processing technology capable of accurate reproduction closer to the original. 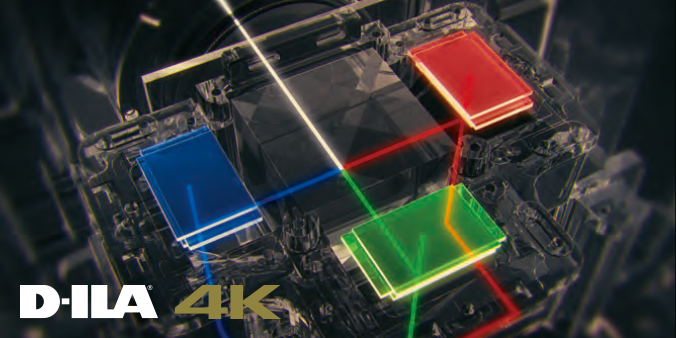 Compared to conventional band processing, MPC achieves the utter reality of 4K quality by detecting and processing images in a higher frequency range to achieve exceptional presence and bokeh creating almost 3D feeling. 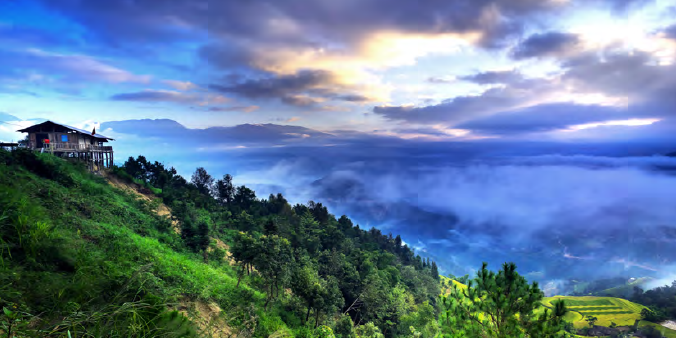 On the high-end model DLA-NX9, the image processed with MPC is up-converted using 8K/e-shift technology to double the image information for displaying more realistic and smooth images closer to the original. 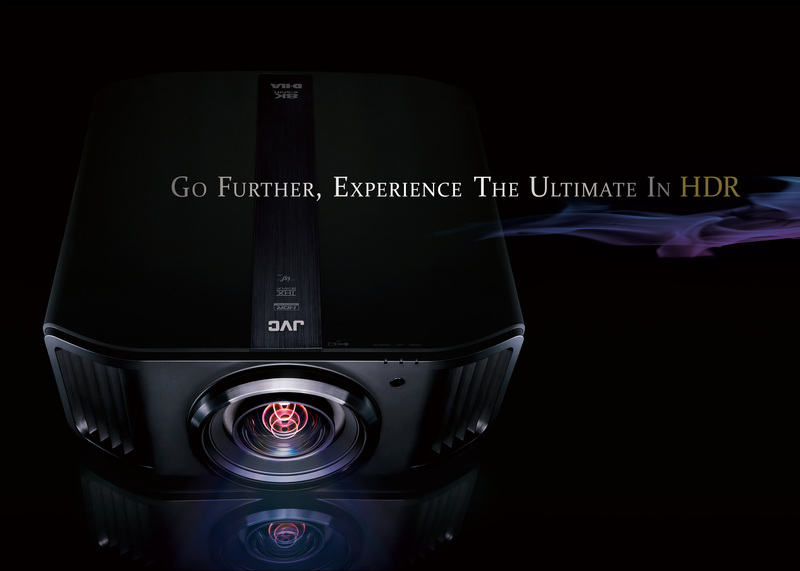 D-ILA projectors continue to evolve for the better. And, the projection device is at the heart of the projector. The latest three models feature an original native 0.69″ 4K D-ILA device, which was first adopted on model DLA-Z1 (released in December 2016); this device has been improved with process refinements on planarization and reflection efficiency to achieve higher contrast and brightness. Additionally, a dedicated driver LSI was also enhanced to simultaneously drive each of the three (R/G/B) native 4K D-ILA devices at high-speed 120fps. This ultra high-speed driving is enabled by adopting the latest high bandwidth memory (HBM) technology and uses a silicon interposer to process a large amount of data instantaneously. Furthermore, stable high-quality image projection can be achieved by equipping the new driver LSI with an original frame rate converter and various device correction functions. 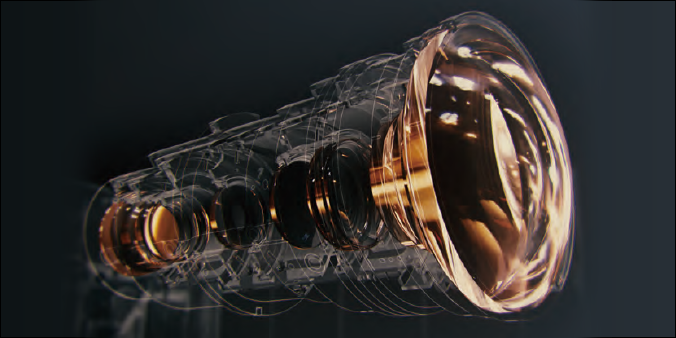 As a result, precise and smooth image projection unique to 4K native can be achieved with the combination of a new device and new driver LSI. The interpolation algorithm for JVC’s original Clear Motion Drive technology that reduces ghosting has been revamped to improve compensation accuracy in the periphery of intersecting objects. The improved algorithm now refers to more frames to increase precision of motion prediction and also reduces frame latency. Additionally, when Clear Motion Drive is set to “low”, it recreates the natural 24fps signal processing adopted on films, while pursuing an effect like dejuddering without a sense of discomfort. 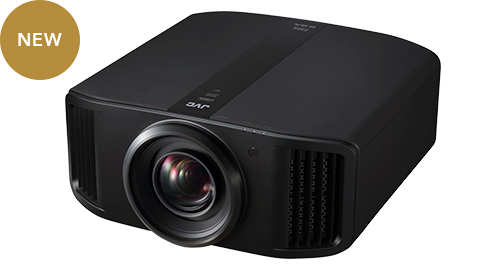 Added with Motion Enhance technology that optimally controls the driving performance of D-ILA drives by image characteristics, the projector is capable of reproducing much smoother moving 4K images. An increasing number of new generation game consoles capable of outputting high-spec 4K game images are now available, which leads to an increased demand among users who want to play 4K/HDR games on a big screen. 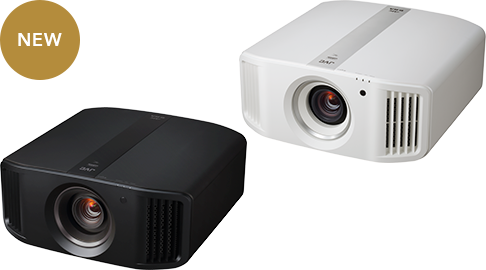 D-ILA projectors feature an improved Low Latency Mode that ensures faster response with PC and game console content that require severe timing link between operation and on-screen image. 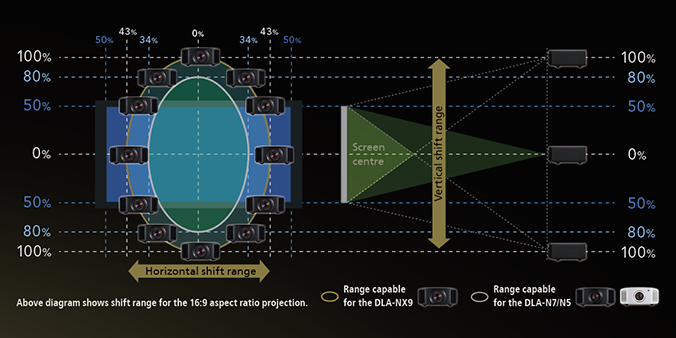 The high-end DLA-NX9 is accredited with THX 4K Display, which was established to ensure that the certified projectors will precisely reproduce picture quality in home environments for both 2K and 4K content, “just as the original filmmaker envisioned”. Encompassing more than 400 laboratory tests to evaluate a projector’s colour accuracy, cross-talk, viewing angles and video processing, this certification helps to guarantee highdefinition quality. Additionally, all models are licensed with the ISF C3 (Certified Calibration Controls) mode, enabling trained dealers to professionally calibrate them to desired screen surfaces, lighting environments and video sources, and then securely store these precise settings into the projector. *2:Achieved on the DLA-NX9. 1,900 lm for the DLA-N7 and 1,800 lm for the DLA-N5. *3:Figures for the DLA-NX9. 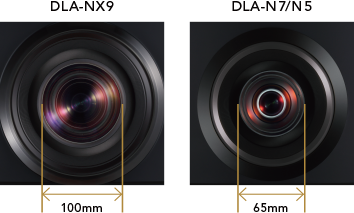 The DLA-N7 offers 80,000:1 native contrast ratio and 800,000:1 dynamic contrast ratio; the DLA-N5 offers 40,000:1 native contrast ratio and 400,000:1 dynamic contrast ratio. 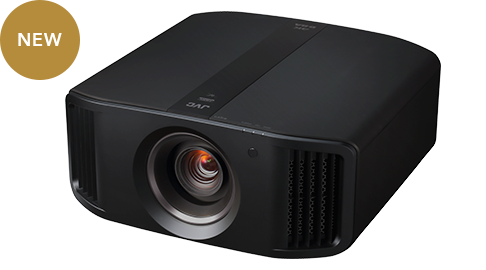 By using a new cinema filter, the projector achieves not only 100% coverage of the BT.709 but also coverage beyond the DCI-P3*4 display range used in film production. 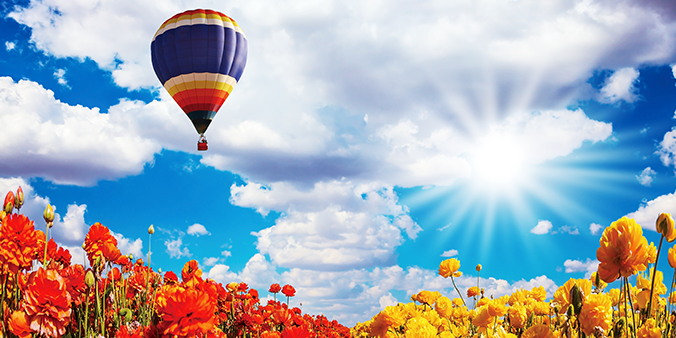 HDR content found on media such as UHD Blu-ray Discs adopts a much wider colour gamut compared to conventional content. Three new D-ILA projectors that feature wide gamut allow for more accurate reproduction of the natural gradations in images of the sky and the sea, as well as differences in the colour contrast between subjects such as flowers of a deep crimson or rose colour, or the different shades of green on tree leaves, which presented difficulties in the past. *4:DCI-P3 coverage is featured on the DLA-NX9 and DLA-N7. *5:Content without mastering info is set at fixed level or can be adjusted manually. The projectors are capable of receiving full spec 4K signals including 4K/60P 4:4:4, 4K/60P 4:2:2/36-bit and 4K/24P 4:4:4/36-bit as the units comply with the latest HDMI standard with 18 Gbps transmission band-width compatibility for reproducing more vivid colours with more precise gradation. In order to be compatible with copyright-protected content such as OTT video services and the UHD Blu-ray discs, the projectors comply with the latest HDMI standard and HDCP 2.2. A 6-axis matrix of red, green, blue, cyan, magenta, and yellow enables the precise adjustment of hue, saturation, and intensity. Only the colour being adjusted will be shown in colour while the others are grey-toned, making operation more intuitive. Using an optical sensor and a proprietary software*7, optimum calibration can be applied in just a few easy steps to match the changes in optical characteristics caused by the installation situation of the projector. Auto-Calibration optimises all essential elements found in the image, including colour balance, gamma characteristics, colour space, and colour tracking. 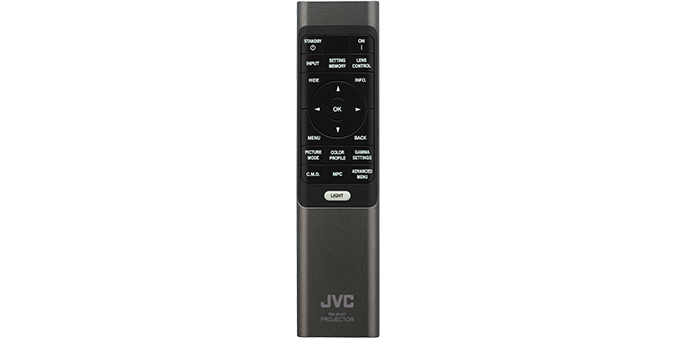 *7:An optical sensor and proprietary software, which is downloadable from JVC website, are required to perform auto calibration function. Refer to the JVC website for details. The Pixel Adjust function allows users to precisely correct colour deviation in 1/16-pixel increments*.It is also capable of segmenting the entire screen into 121 points and adjusting them individually to realise clearer video without colour deviation. Two settings can be stored in the memory. 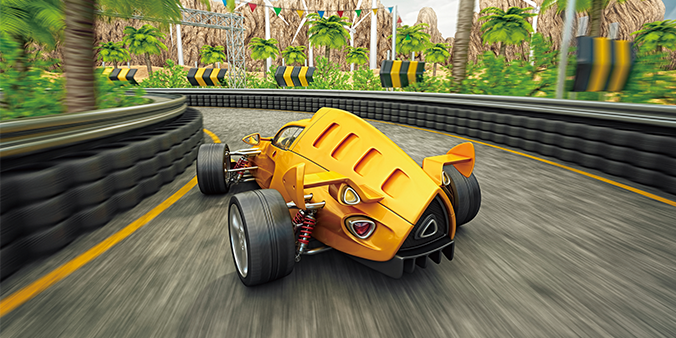 Adjustments are made by placing the cursor on a point that needs to be corrected. These projectors are equipped with “Installation Mode” that allows users to centrally manage settings related to installation in order to enjoy projected video best suited for each environment. 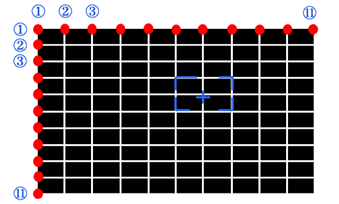 As shown in the graphical interface on the right, nine settings for Lens Control, Pixel Adjustment, Mask, Anamorphic on or off, Screen Adjust, Installation Style, Keystone, Pincushion, and Aspect can be adjusted. Additionally, ten different mode settings can be stored in memory that can be named as desired. Installation modes stored in memory for various environments can be called up immediately. Flexible installation is made possible thanks to the wide lens-shift function. As described in the diagram below, wide shift ranges are offered vertically and horizontally that help to deliver natural projected images without distortion. Screen Adjustment Mode is one of the nine Installation Modes described above. When the user selects a setting that best suits the screen being used from the Screen Adjustment Mode settings, the projector adjusts the image with natural colour balance to match the screen. 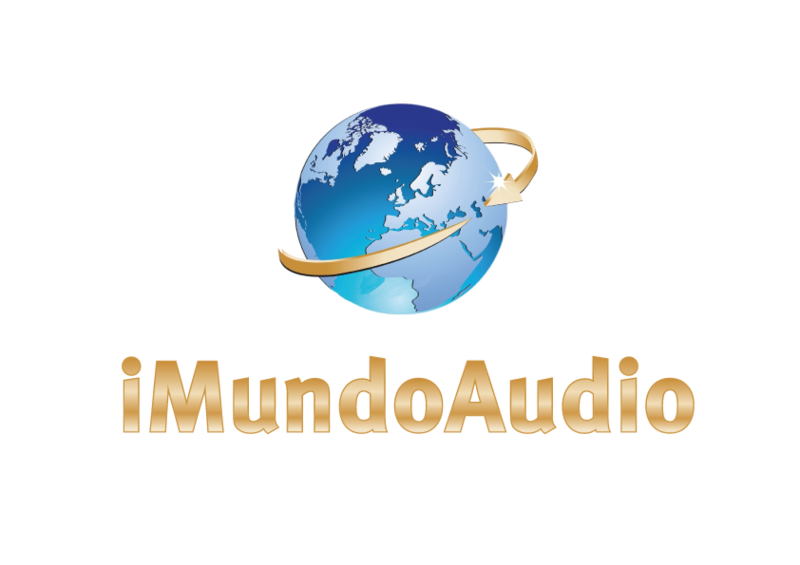 The mode is compatible with the latest models offered by the world’s major screen manufacturers. The new projectors feature Digital Keystone and Pincushion Function. Digital Keystone adjusts keystone distortion that occurs when the projector is placed in a tilted position; Pincushion Function adjusts to curved screens. *8:Digital Keystone and Pincushion Function cannot be used simultaneously. Keystone adjustment corrects only in the vertical direction. Pincushion Function may not operate properly when the projector is applied with wide lens shift. 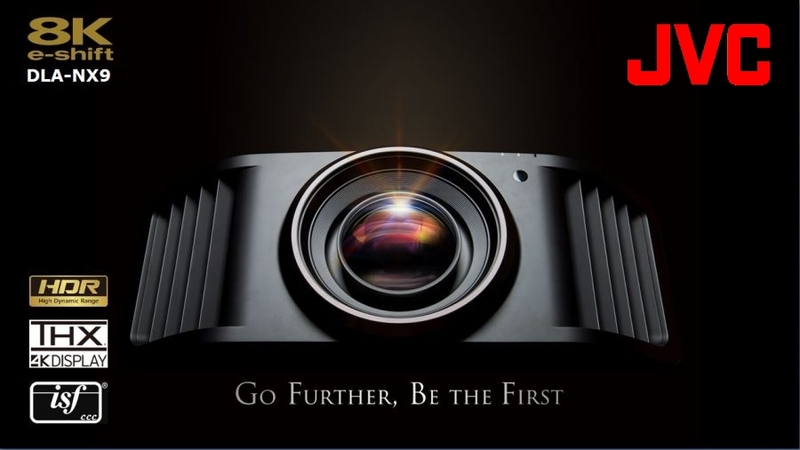 A 2.35:1 aspect ratio for wide cinematic films can be enjoyed by combining the projector with a third-party anamorphic lens to create dynamic picture reproduction just as can be seen in a movie theatre.